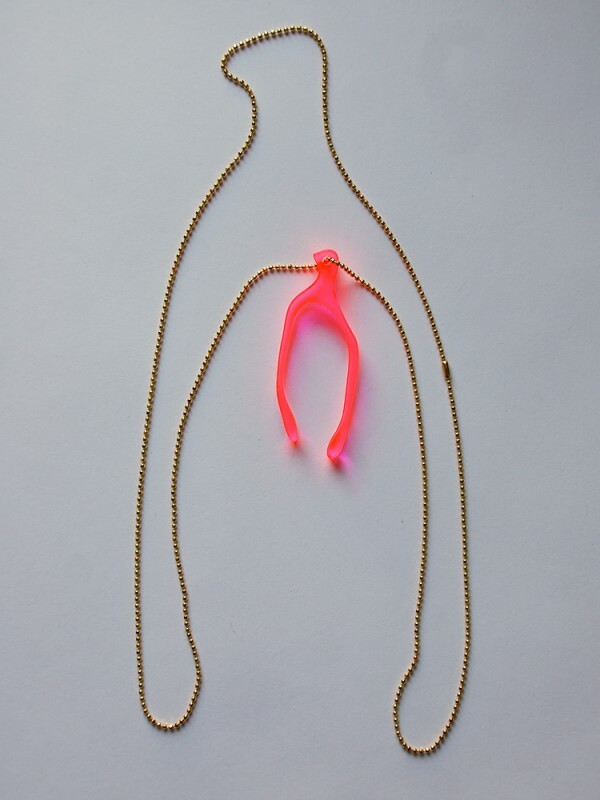 A long, laser cut, neon pink wishbone necklace. You don’t need to wait til Thanksgiving for your wish now! 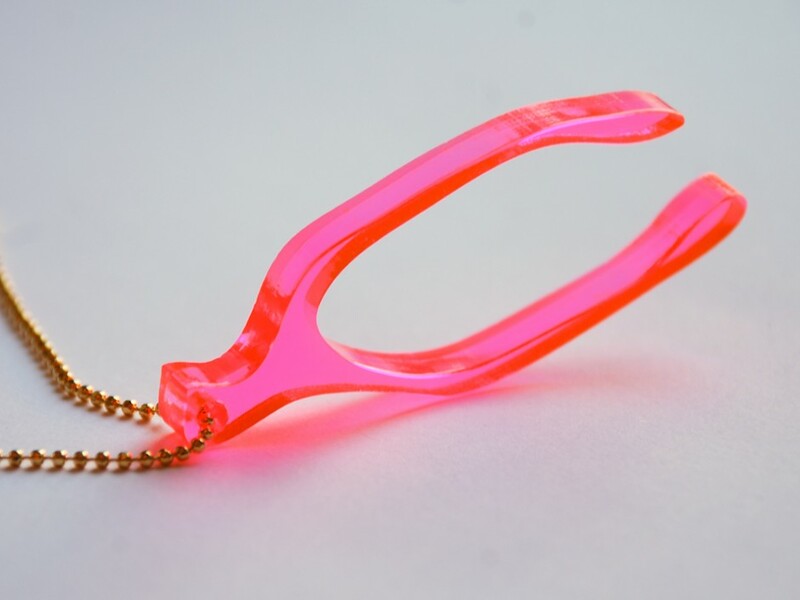 *Laser cut wishbone measures just under 2 1/2″. 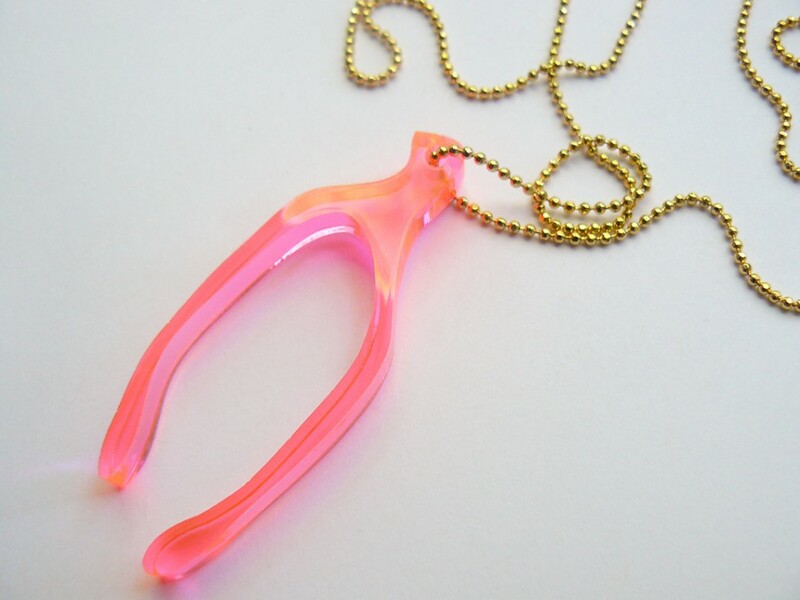 *The chain measures 32″ long. 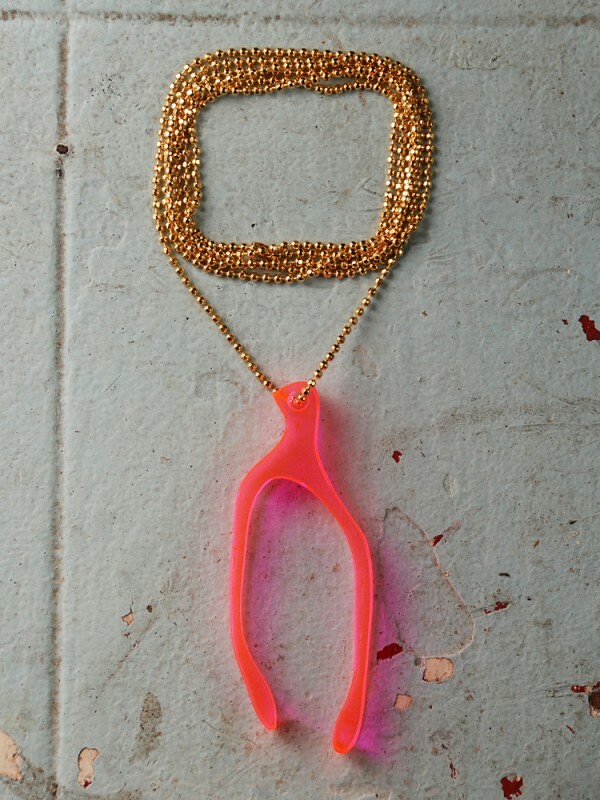 *Each necklace is gold plated and sealed in an anti-tarnish coating. 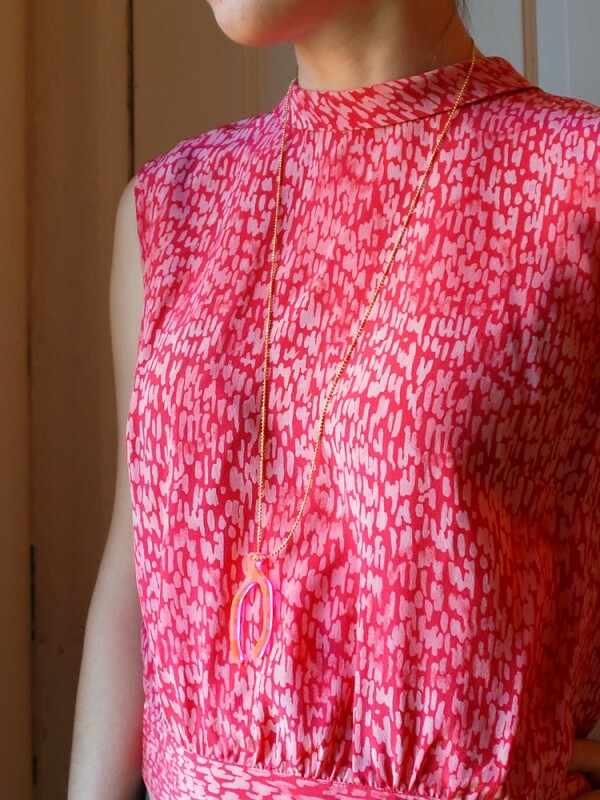 *The faceted diamond-cut ball chain adds extra sparkle!